World Ozone Day is celebrated on 16th September every year. In 1994, September 16th was designated as ‘World Ozone Day’ by United Nations General Assembly. Since then, 16th September is celebrated as World Ozone Day each year. World Ozone Day marks the importance and role of the ozone layer in the environment. On this day, numerous activities and programs are been held in order to spread awareness about the importance of ozone layer and also the depletion of ozone layer and how to protect it. Ozone is a trioxygen inorganic molecule having the pungent smell and is of pale blue color. The formula for ozone is O3 which means trioxygen. It is not only a molecule of pale blue color and has a pungent smell but it is also a protective layer around the earth which protects earth from various hazardous gases and also the attack of bursting stars in space. Ozone layer around the earth also protects earth from Ultra Violet rays which are very harmful and dangerous. But nowadays due to excessive use of chlorofluorocarbons in our daily life, the ozone layer is depleting which may harm our earth and therefore will also have a negative impact on our lives. Chlorofluorocarbons are mainly used in refrigerators and air conditioners. Scientists have examined and noticed the hole in the ozone layer and therefore ozone layer depleting at a higher pace. 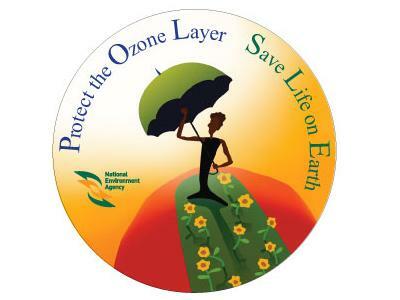 World Ozone Day is celebrated at both national and international levels. The governments of different countries conduct various programs and seminars in order to make people aware about the depletion of ozone layer and also tell people the importance of environmentally friendly products and tell them to use eco-friendly and ozone protective products. Various types of activities, competitions such as poster making, sketching, the act related to ozone layer depletion, debate and speeches are held in schools and colleges in order to make the students aware about the depletion of ozone layer and how to protect it using eco-friendly and ozone protective products. According to the research of the scientists, it has been proved that hydrofluorocarbons are less dangerous than chlorofluorocarbons and the depletion of ozone layer has been reduced with the help of use of hydrofluorocarbons instead of chlorofluorocarbons. It has been observed that hydrofluorocarbons have zero ozone depletion potential. Therefore we should use hydrofluorocarbons instead of chlorofluorocarbons. All the people of the world must collectively take the promise and adopt all the measures in order to reduce the ozone layer from depleting and protect the earth which in turn will protect our lives from hazardous and dangerous gases.